Two hard-living men in Wales take a risk on making ends meet selling drugs, with gloomy results. Jones’ (The Dig, 2015, etc.) 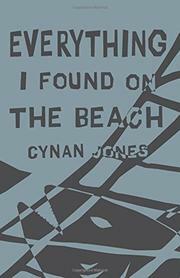 novel opens with a body on a beach, plainly a violent murder victim: “the body had most of the fingers of one hand off and there was a big wound to the face.” Though the body isn’t immediately identified, it has to do with one of the men Jones evokes after the prologue in sharp, simple, fablelike prose. One is Grzegorz, a Polish immigrant whose dream of a new life has led him to a soul-wrecking job in a slaughterhouse and an unhappy home life. Desperate for extra money, he signs on for a job ferrying illegal drugs, but the compass guiding him to his destination fails, casting him adrift. Meanwhile, Hold, a fisherman, hopes to finance his own boat and support the family of a late friend, and a package of drugs he finds on the beach seems to suggest a solution. But as he strives to get a payday out of returning the cache to its owner, he’s out of his depth as a drug runner. Jones’ somber tone and damp, overcast setting help make the novel a kind of critique of the new economy that put both men in such desperate straits. (Stringer, an Irish drug dealer, mocks the false promises of the “Celtic Tiger” across the sea in Dublin.) But the anguish Jones captures is largely interior, as Grzegorz bemoans his feeling stifled (“we can’t become anything new”) and Hold despairs of helping his friend’s widow (“one chance then I could change it around”). But the drug dealers live on tenterhooks as well. So who’s that body on the beach? Jones’ point is that, among this class, it could be anyone. A striking and careful portrait of ambition crashing against reality.